If the zodiac is your passion and Leo is your sign, a Leo wrist tattoo can be a way to show your spirit and passion while keeping the symbol close at hand. 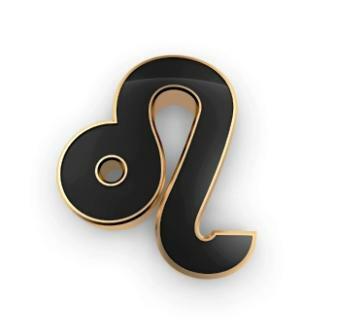 The symbol for Leo is a curving line with a loop at one end and a tail at the other. This symbol can be tattooed alone, stretched and manipulated into another image, and placed on any area of the body. Since the lines are so clear and simple, the tattoo does not lose meaning or detail if shrunk down to the size required for a wrist tattoo the way that some other symbols might. If your sign is the Leo and you feel that these character traits describe you, or are things you wish the world to know about you, getting a Leo tattoo can be a great way of showing them off. Getting a Leo wrist tattoo can be an even better way of doing so. Since the Leo symbol can be tattooed anywhere on the body, what makes the wrist an ideal place to get it? Your hands, and therefore your wrists are frequently out in front of you. Your wrist is on display to everyone you meet, allowing them to see your tattoo anytime you lift your arm. While wrist tattoos can be covered with long sleeves, bracelets and watches, they are also much easier to display than a tattoo higher on the arm, or elsewhere on the body. With the pride Leo's take in their appearance, you will want to show this tattoo off. While a wrist tattoo is visible to others, it is most importantly visible to you. If you're getting this tattoo to remind yourself of your strong, brave and courageous nature, you are going to want that tattoo to be a visible reminder as well. Placing this tattoo on the shoulder, lower back or even upper arm is not going to have the same effect or meaning. The looping design of the Leo symbol makes it the perfect ornament for a wristband tattoo. Locate the symbol on the front or back of the wrist, and connect it on both sides with any repeating design for a delicate, interesting and detail filled design that is right out in the open. The one, simple line of the Leo symbol can be any size, but the delicate area of the wrist makes the perfect backdrop. Keeping the tattoo small can help focus the eye on it, making it immediately apparent what the design is. More importantly, the wrist does not contain any curves or bends that could mar the image of the tattoo or stretch it out of shape. If you are getting a Leo tattoo and are planning on placing it on your wrist, take some time to think about its placement and ultimate design. Do you want the symbol to face out or in? Should it be placed so that it sits correctly when your arms are loose at your sides, or bend upright? Since it's so visible, do you wish to have it tattooed in a color rather than black? By considering these options ahead of time, you can make sure that your Leo wrist tattoo is worthy of your pride.